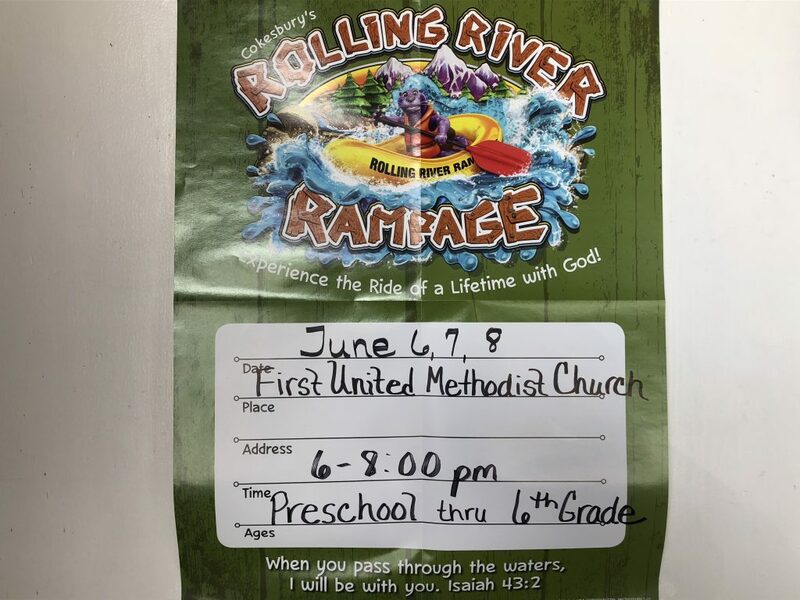 Join us for VBS 2018- “Rolling River Rampage” Wednesday, June 6- Friday, June 8, 6-8p.m. nightly. Registration begins at 5:30p.m. We will conclude with a pool party at the Church Hill Town Pool Sunday, June 10 at 7-9p.m.